Home › Electronics › Littleadd Hidden Camera Spy Smoke Detector Motion Detection And Remote Contro..
Littleadd Hidden Camera Spy Smoke Detector Motion Detection And Remote Contro..
1. This Hidden Camera Smoke Detector is an entry-level hidden camera, featuring video recording in either full recording mode or motion detection mode, audio recording, Web cam and taking photos. 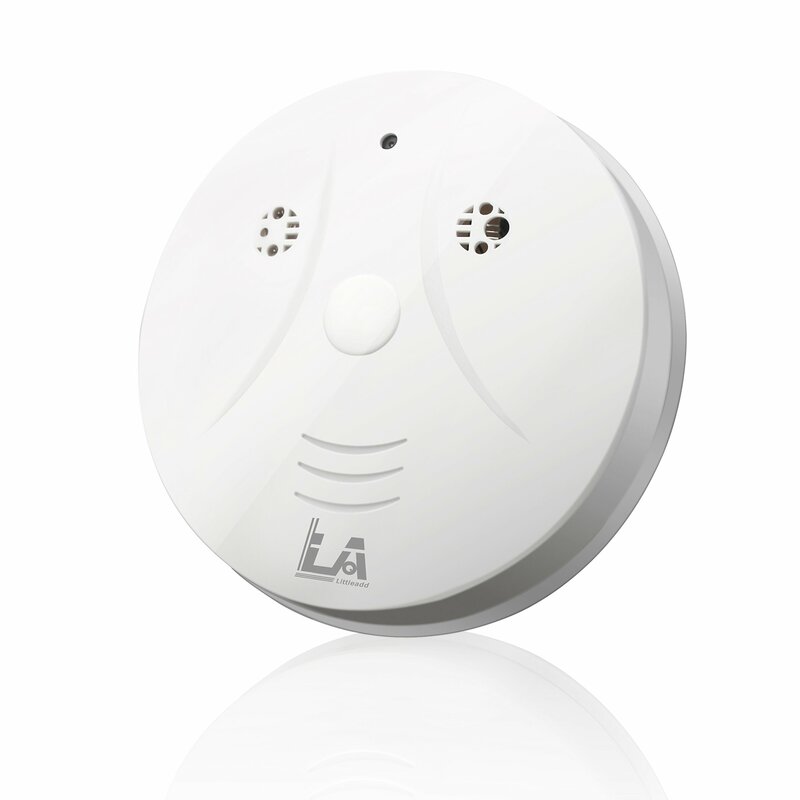 It is so discreet for this camera looks like a smoke detector (has no smoke detecting functionality), and it is convenient to use with remote control from 15 metres away. The recording time can be synced with your PC. 2. Camera with 0.3 megapixel CMOS sensor allows you to take good quality photos and shoot videos. Motion detection and audio recording are also supported. Scope of audio recording can be up to 40 square metres. 3. It supports external Micro SD card up to 32GB. You can easily view videos and audios when connecting it with PC via USB cable, or copy the files from Micro SD card into PC. 4. It is energy efficient and easy to charge when connected with PC via USB cable. It also can be used as a Web cam. 5. This Hidden Camera Smoke Detector can work well in dim light (minimal illumination low to 1lux) due to its high-quality lens. In order that you can use once get it, one 8GB Micro SD card is included.